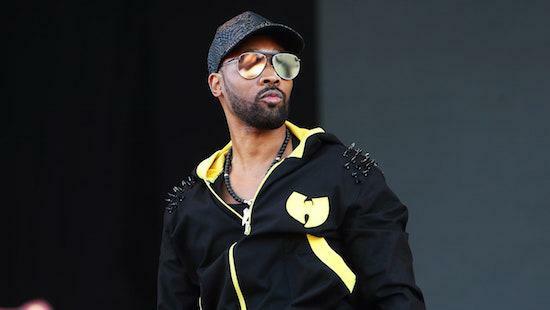 Wu-Tang Clan's RZA is suing a New York-based dog-walking company called Woof-Tang Clan for breach of copyright. Court proceedings filed by RZA say that Wu-Tang Clan’s name and logo has been "unmistakably associated" with the group since their formation over two decades ago. The court papers claim that Woof-Tang Clan's attempt to trademark their name therefore violates Wu-Tang Clan's own trademarks. Woof-Tang Clan's owner, Marty Cuatchon, told The New York Daily News he was aware of the challenge. His company offers dog-sitting services, with their advertisements saying that staff are "courteous and responsible, as long as we're in agreement that Nas' Illmatic is the greatest album of all time". Cuatchon was also selling T-shirts that depicted dogs on various classic hip-hop album covers. These have now been removed from the company's website however.